I had my granddaughter this weekend. She is the princess of picky eaters and vegetables are not her favorite food group. When she is here I try to be creative with foods and treats. It was warm this weekend so after coming in from playing ball I decided to make a smoothie for us. I combined the ingredients in that order in my Vita Mix but a blender also can be used. The frozen Mango and ice cubes made it much thicker. I blended for about 20 seconds and it was ready. That is my glass and hers was about half that size. It is sweet and you cannot taste the kale. Strawberries would also work here. My granddaughter does not like strawberries at the present time. If you wonder why I call it Green Ice Cream Smoothie it was due to my granddaughter’s comment. When she tasted it she said, “I like the Green Ice Cream”. She drank it all and so did I. Genius! I have several picky grands at the moment. I’m going to try this. I’ll get vegetables into them one way or the other!!! That is my sentiments exactly! 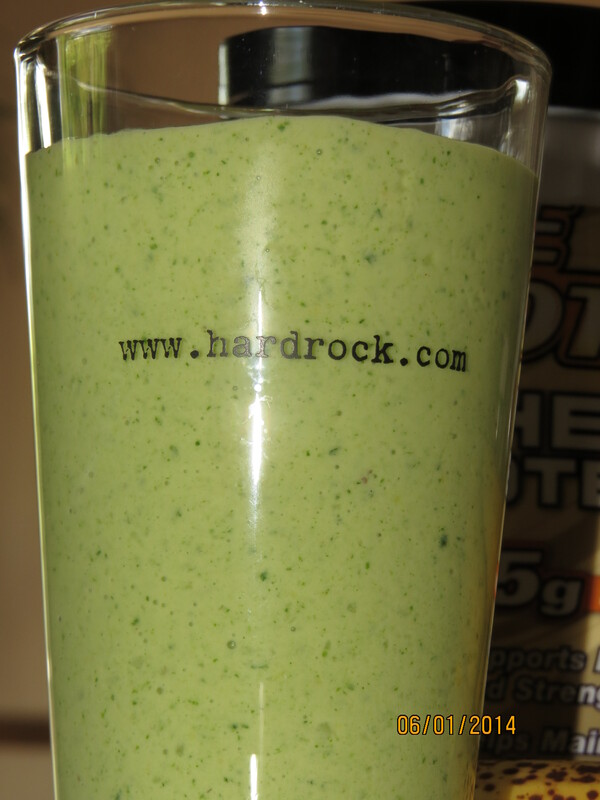 It has actually become my new favorite smoothie too even though I like my veggies! Very impressive way to serve up the veggies hidden in a delightful treat! Great Post. Thanks for sharing. If you try it you will have to let me know how you like it.